AREU is a partner organisation for the Global Challenge Research Fund RC-UK proposal entitled “Drugs and (dis)order: Building sustainable peacetime economies in the aftermath of war.” AREU will support the project on policy engagement at national and international levels. 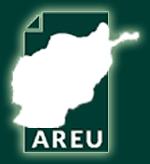 AREU will contribute to the research through conducting organisational ethnographies and case studies of policy making processes, capacity building in research, policy engagement and dissemination and facilitate innovative methodological approaches to ensure that GIS analysis and mapping products are archived for future reference. Finally, AREU’s researchers with participate in international events and conferences to share findings from the field.